This palette caught my eye whilst scrolling through Beauty Bay one lazy afternoon. I was looking for some inspiration when it came to my eye shadow collection. I have some Mac shades but I have had them for such a long time, I was a tad bored and a little uninspired so thought this looked like a good purchase - and it most definitely was. I am a huge fan of the ABH brow products and their highlighter I reveiwed here is still a firm favorite. This palette was a modest £27 for 14 stunning shades I'd say there are 3 true matte shades 1 glitter and the rest are a mix of pearl. As you can see there are a few shades that won't be suitable for my everyday but they are more than made up for by the others. I have done so many looks with this, it was the only eyeshadow option I took for a week away. The formula of these is so creamy and highly pigmented, there is a small amount of fallout but nothing concerning. These beat my Mac shadows on all counts; value, pigmentation, lasting power & blendability. 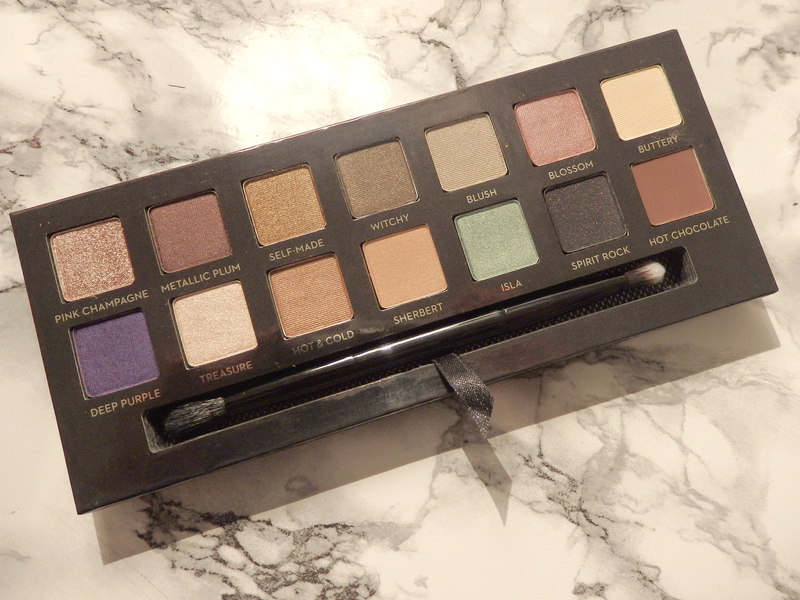 If you have looked at any of the ABH palettes I would highly recomend. Eyeshadow palettes are definalty having a 'moment' and this on really does shine out through this over satured selction we are all bombared with. Buttery all over the lid, Sherbert in the crease blended out with Hot & Cold in the outer corner. Witchy all over the lid with Hot Chocolate blended out - think grungey. Self-Made all over with Pink Champagne pressed onto the lid. The list goes on. Well worth the price and the options are endless - The brush isn't half bad either.